Palace Capital plc has appointed Caddick Construction as main contractor for the £35 million construction of luxury mixed-use development Hudson Quarter in York City Centre. The two-acre development on the site of the former Hudson House, opposite York Railway station, will be transformed into a vibrant new community featuring 127 apartments, 34,500 sq ft of Grade-A office space, 5,000 sq ft of other commercial uses and car parking located in four buildings around a landscaped garden. It is owned by Palace Capital plc, a Main Market listed property investment company with assets predominantly outside London. 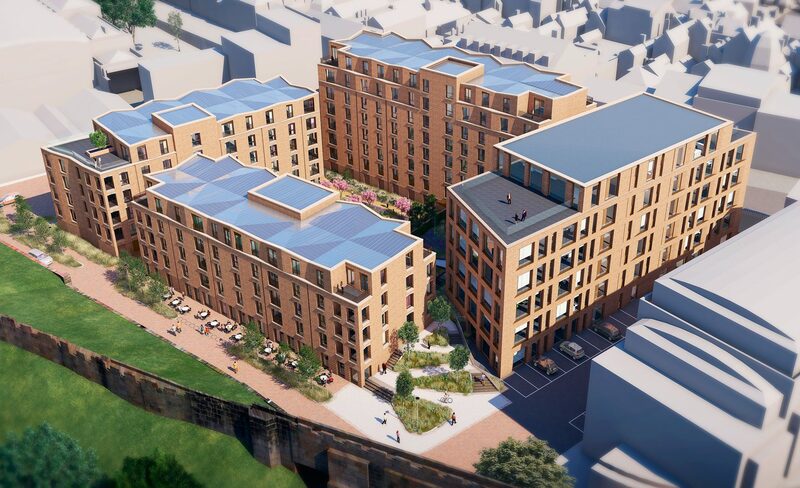 West Yorkshire based Caddick Construction will start site preparations next week and will be onsite for around two years, with the whole development due for completion in 2021. The firm was appointed following an extensive and competitive tendering process. The demolition of the former Hudson House building was completed towards the end of last year and sales on the luxury apartments will be launched later this year. Palace Capital plc is a property investment company with a premium listing on the Main Market of the London Stock Exchange (Stock Code: PCA). The Company owns a diversified portfolio across the UK, including significant holdings in Yorkshire, and has a reputation for being entrepreneurial and opportunistic. Palace Capital acquires properties where it can enhance the long-term income and capital value through asset management and strategic capital development in locations outside London.